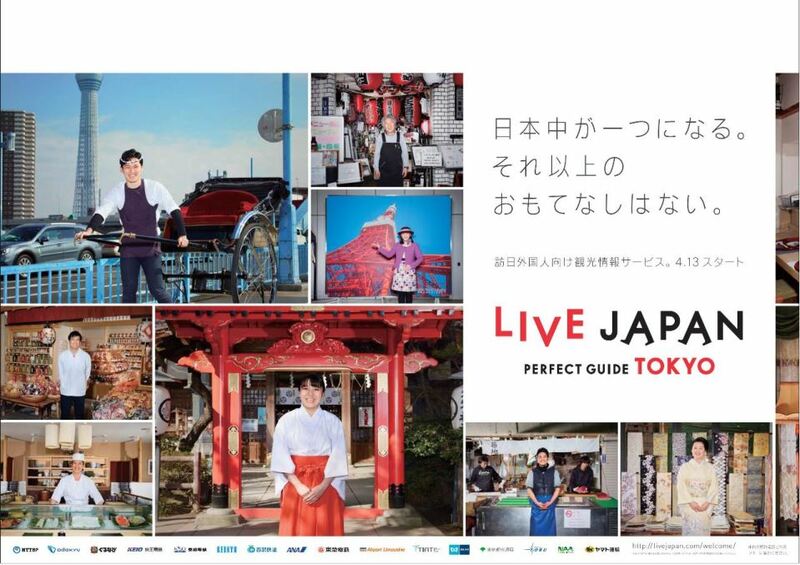 Twenty-one private companies including Gurunavi, Japan’s gourmet & restaurant guide, Tokyu and Tokyo Metro jointly launched ‘LIVE JAPAN PERFECT GUIDE TOKYO,’ the one stop tourist information service for international visitors, working together with partner private companies. The guide consists a facility guide service, a convenient function service and a information contents. A facility guide service provides outlines and access information of facilities in terms of visiting, eating, shopping and lodging and also possibly shares facility information on SNS. LIVE Information is a service to offer event information, seat availability, inventory information or coupon information on a real time basis. Eight different languages of Japanese, English, Chinese (traditional and simple) Korean, Malaysian, Indonesian and Thai are available on the site, and five languages except Malaysian, Indonesian and Thai are available on a facility information service and a convenient function service. Twenty-on partners are Airport Limousine, ANA, Tokyo Metropolitan Government, Keilyu, Keio, Keisei, Narita International Airport, NTT Broadband Platform, Odakyu, Seibu, Tobu, Tokyo International Air Terminal, Yamato Transport, JAL, Vanilla Air, Peach Aviation, East Japan Railway and Sagami Railway, Gurunavi, Tokyu and Tokyo Metro.